Sponsored by Energy Networks Association and The Association of Electricity Producers. 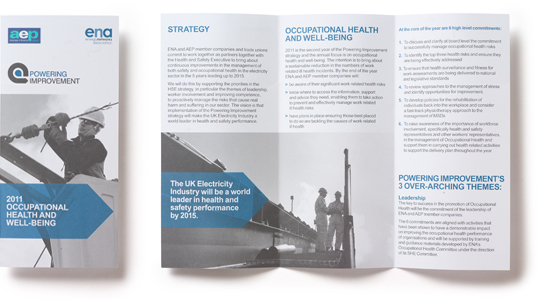 Powering Improvement is the energy industry's vision to be a world leader in health and safety by 2015. Treble were asked to create an identity for this initiative. Elements taken from the logo (circle and arrow) function as brand parts and are prominent features throughout the organisations literature.